Bihar MBBS Counselling 2018: The Bihar Combined Entrance Competitive Examination Board has started its online NEET Counselling under state quota. The students who have qualified the NEET exam, they can apply for the Bihar NEET Counselling 2018. The applications will be available from 11th July and the last date for the submission of the application form is 16th July. The students have to pay the fee before 17th July. It is expected that the UGMAC Counselling 2018 will starts from 20th July. the students who are seeking admission to MBBS and BDS courses in the state of Bihar under the state quota. They can apply for the Bihar MBBS Application Form 2018 before 16th July. The students have to follow the proper counselling procedure for the successful allotment of the seats. The Students who will clear the Bihar MBBS Cutoff 2018 will be eligible for the admissions. 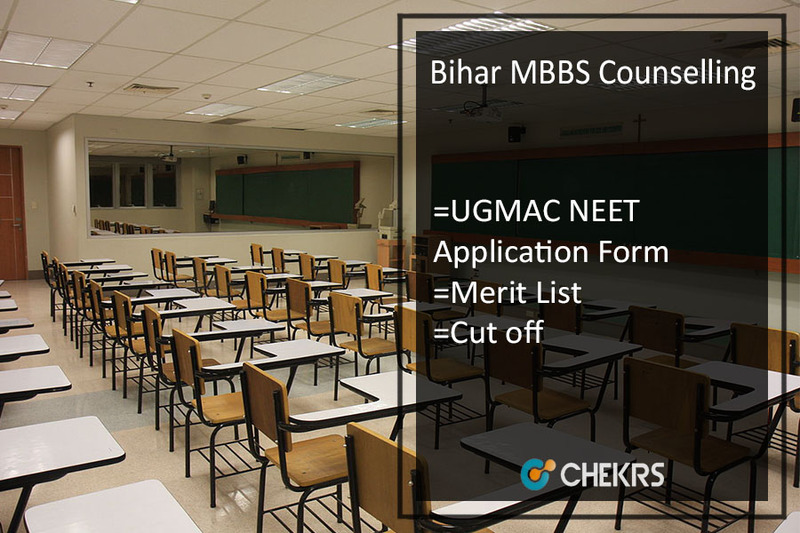 The seats will be allotted according to the preferences of the candidates as well as their rank in the Bihar MBBS Merit List 2018. The aspirants have to follow a precise procedure for the submission of the Bihar MBBS Admission Form 2018. The last date for the submission is 16th July. The counselling will starts from 20th July. The application form is available on the official website. We have provided you here the direct link for the downloading and submission of the online form. Steps to apply online for Bihar NEET 2018 Counselling. The students have to complete the Bihar NEET UG Registrations before the due date. For that, they have to visit the official website. Then they have to click on the apply online link. Now fill all your personal details in the form. After submission, they will receive an email or SMS regarding the UGMAC Registration and they will get an id and password. It is confidential information so students are advised not to share this. The students have to pay the UGMAC Counselling Fee via any of the online payment modes. They can even pay the fee through bank challan. The counselling fee for the General/ BC/ EBC candidates is Rs. 1200 and for SC/ ST and other reserved castes have to pay Rs. 600. The students have to complete all the personal details in the step-3. The information must be correct and accurate. Students have to attach scanned copy of their photograph and signature (Not in Capitals). The students have to fill each and every information regarding their schooling and after completion click on the submit button. The board will shortlist only those students who will clear the Bihar NEET Cutoff 2018. The students have to follow the counselling schedule properly. It will increase their chances to get a seat. It is expected that the MBBS Counselling in Bihar will commence from 20th July. For feedback and more queries regarding the UGMAC MBBS Counselling 2018, you can contact us by commenting in the comment section given below.